The flavor profile of this spread is unbelievable. The fennel bulb and mascarpone cheese really bring out some amazing aromas. Place fennel, oil, and fennel seeds in a small saucepan. Bring to a simmer over low, and cook until fennel is soft and caramelized, about 30 minutes. Stir in 2 tablespoons of lemon zest. Remove from heat, and let cool completely. Set bowl in an ice bath. Add creme fraiche and mascarpone cheese to prepared bowl, and whisk until smooth. Add the remaining zest and lemon juice. Using a rubber spatula, fold smoked salmon into the creme fraiche mixture, and fold in fennel mixture. Transfer to a serving bowl, and smooth top. Cover and chill for at least 1 hour. 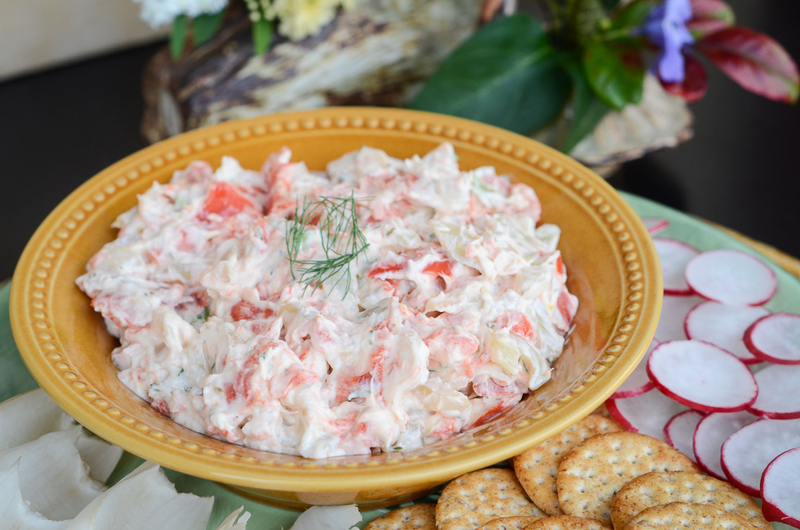 Garnish with fennel fonds and serve with crackers.